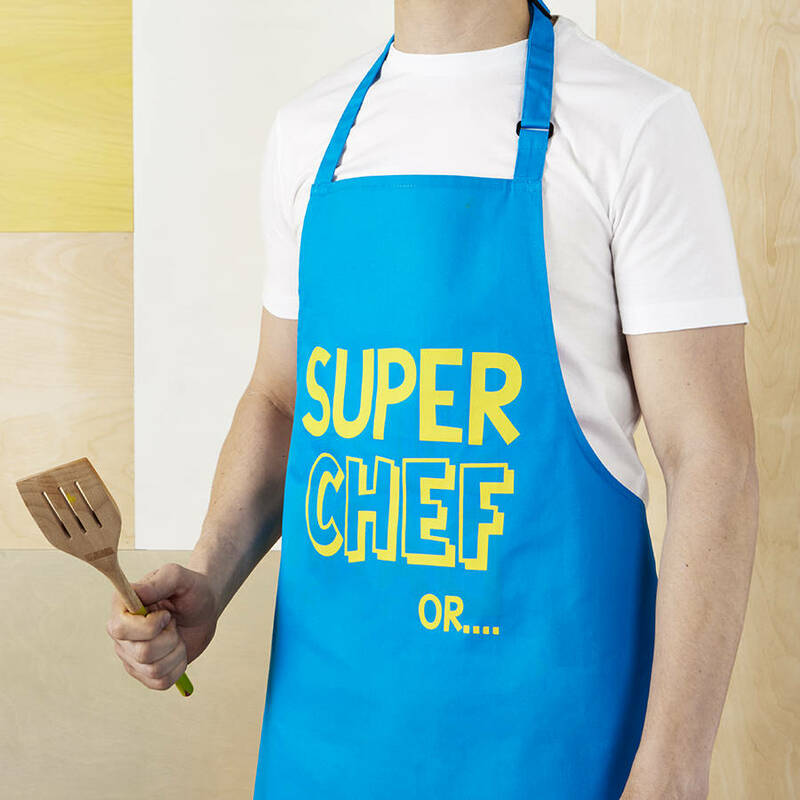 Super Chef or Super Dad? 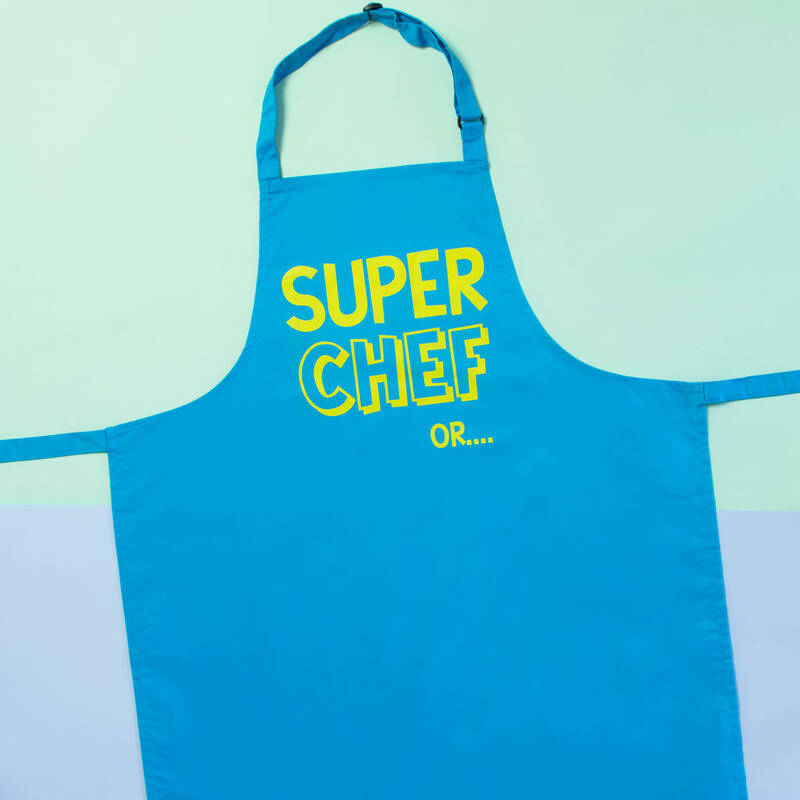 Apron or cape? 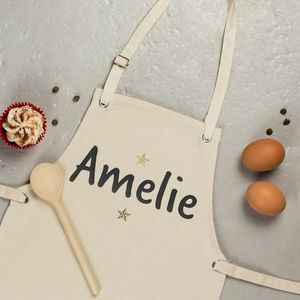 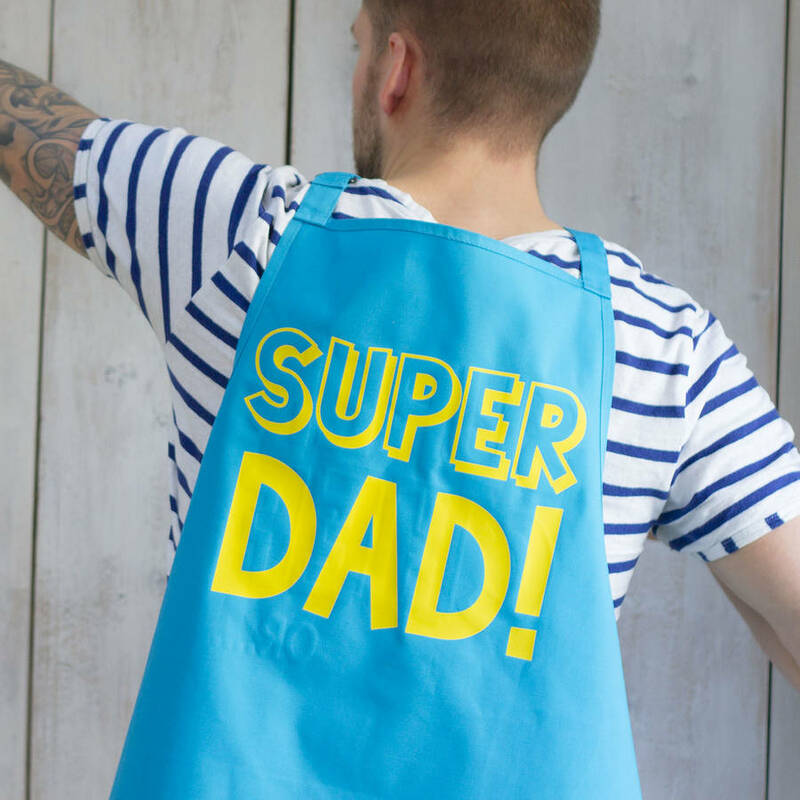 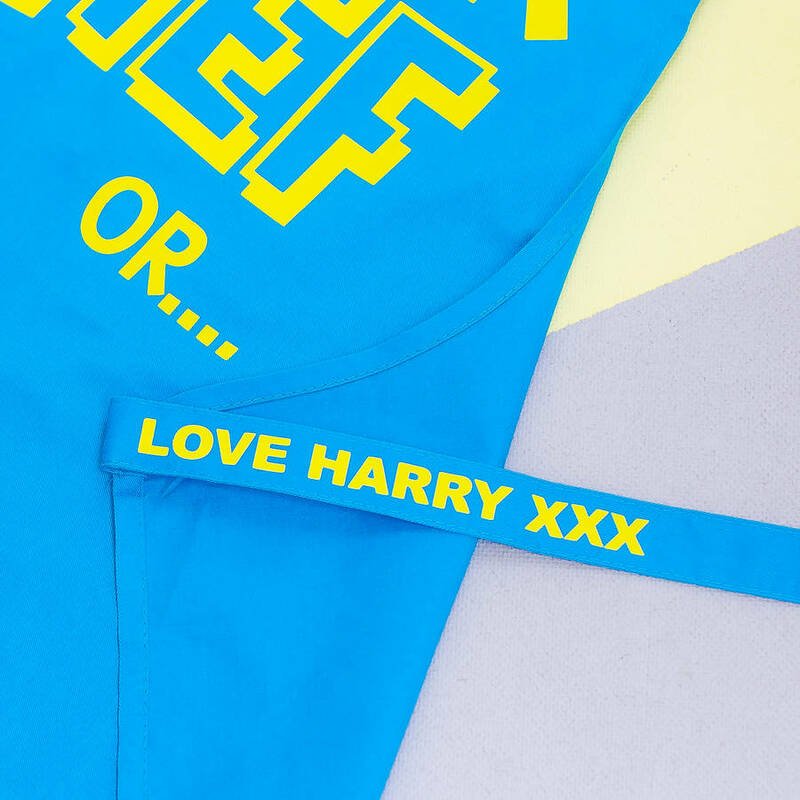 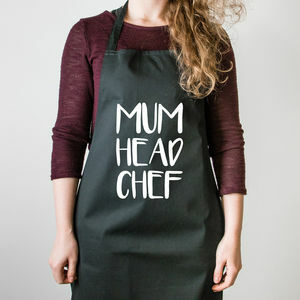 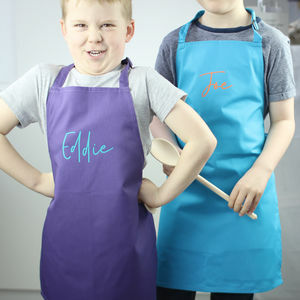 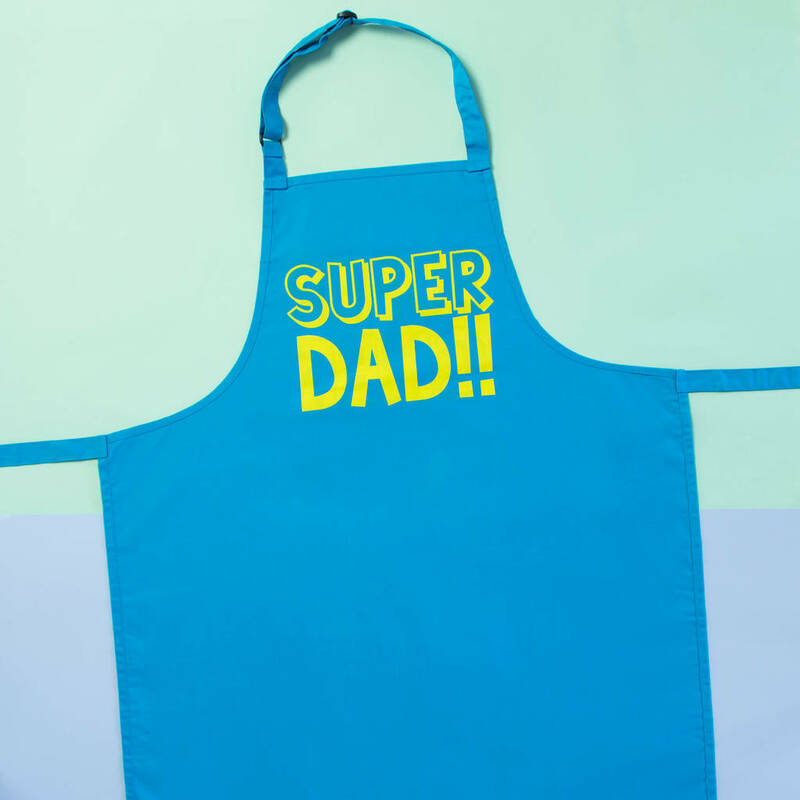 A fab funny apron for when cooking time turns into play time, a fabulous gift for Dad! 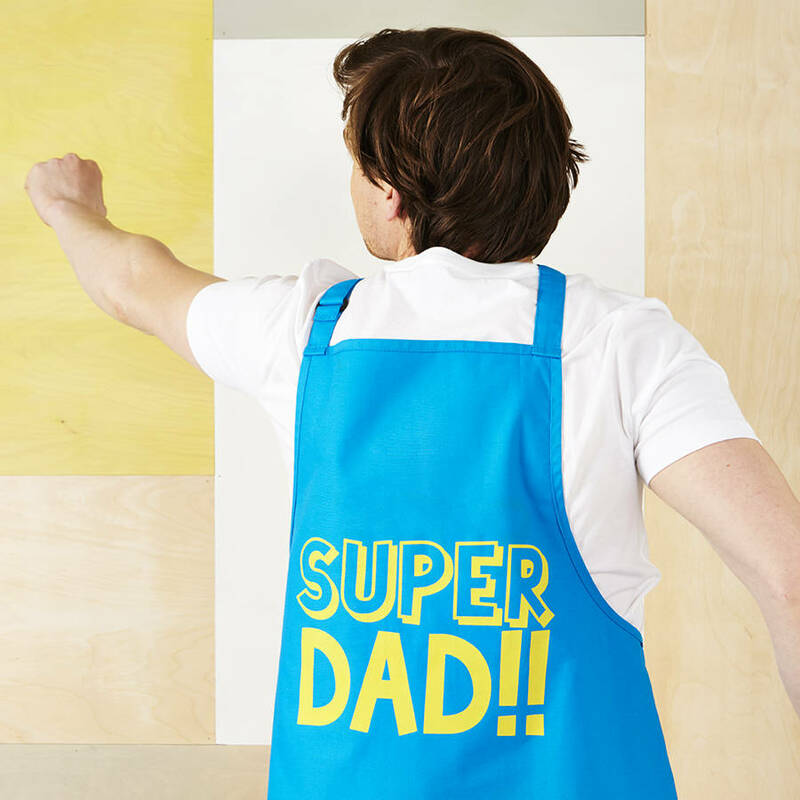 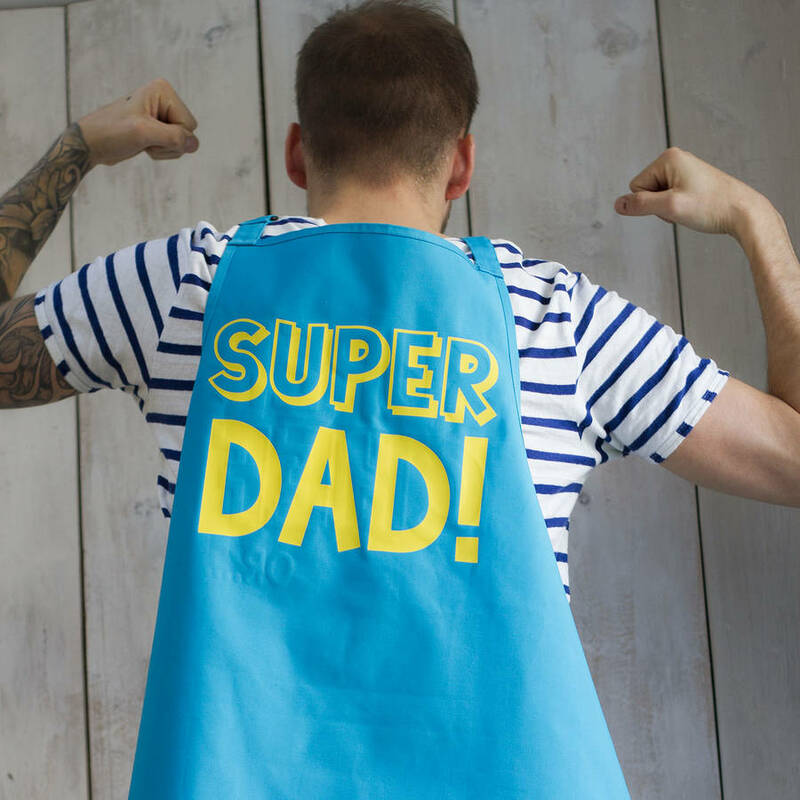 This garment is an ideal present for the super dads out there! The print on the front of the apron reads 'Super Chef or...' and the print on the REVERSE reads 'Super Dad'. 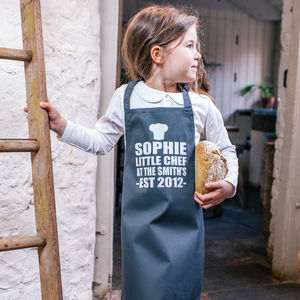 A practical apron that turns into a playful cape!! 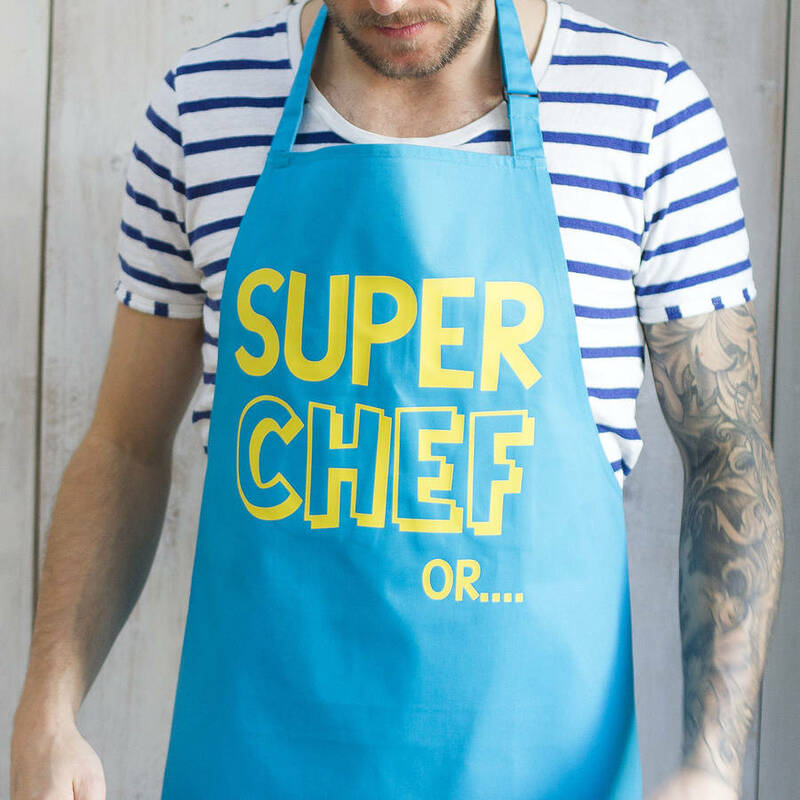 There is teh aded extra to have a short secret message printedon the tie of the apron. 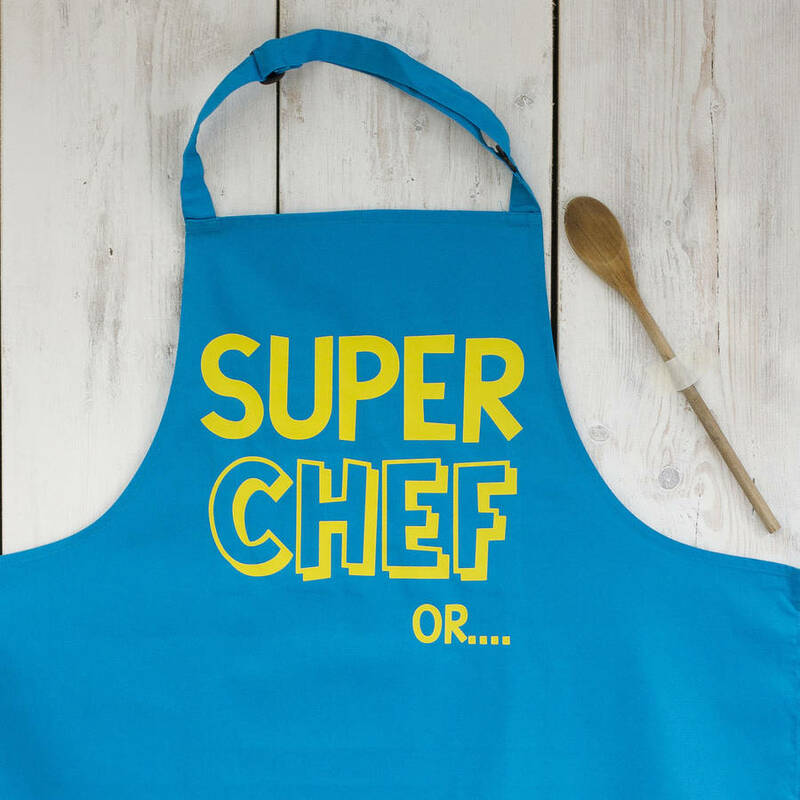 If you have any questions then please drop me a message under 'Ask seller a question' and I will endevour to get back to you ASAP.